The month of Tishrei for most people, includes creating lists and lists of things they will need for the upcoming Yom Tovim; food, clothing, Machzor, Lulav, Sukkah and more. Unfortunately, over 230 Crown Heights families write only one list in preparation for Tishrei. The list they write is of the phone numbers of local organizations to whom they can turn to for help. With no money for new clothing, food or anything else, 718 774 5270 – CSSY is number one on their list. 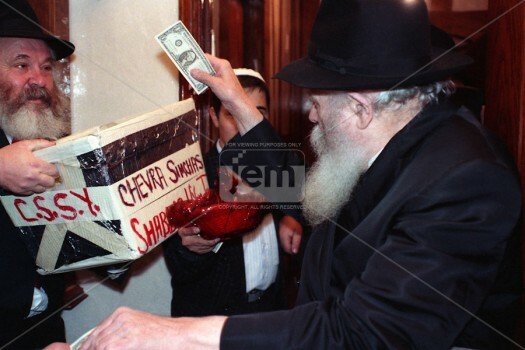 At a Rosh Hashanah farbrengen exactly 40 years ago (5738) the Rebbe began an initiative requesting to create a centralized organization where poor people can turn to for assistance to buy food for Yom Tov. 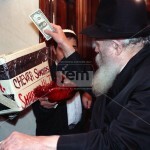 Shimshon Stock ob”m immediately created a fund which had been distributing food for Shabbos and Yom Tov ever since. Moreover, CSSY isn’t just the number for food assistance, and not just for overdue bills. CSSY helps people week in week out with many issues plaguing families in our community. However CSSY is only the messenger. In truth the ones helping the community is not CSSY – it’s YOU! The caring individuals who open up your hearts and wallets to help a friend, a neighbor and a relative. If not for the caring people in our community who send donations in to CSSY – CSSY would not be able to provide all the services which they do each week! The month of Tishrei alone CSSY needs to fill at least $250,000 in requests to help bring Simchas Yom Tov to those in need. Please! We urgently turn to you, our friends and supporters, to please give as much as you can and be a part of CSSY’s Tishrei Campaign. Donations can be made online at www.cssy.org/donate or mailed to CSSY 593 Montgomery St. Brooklyn, NY 11225.